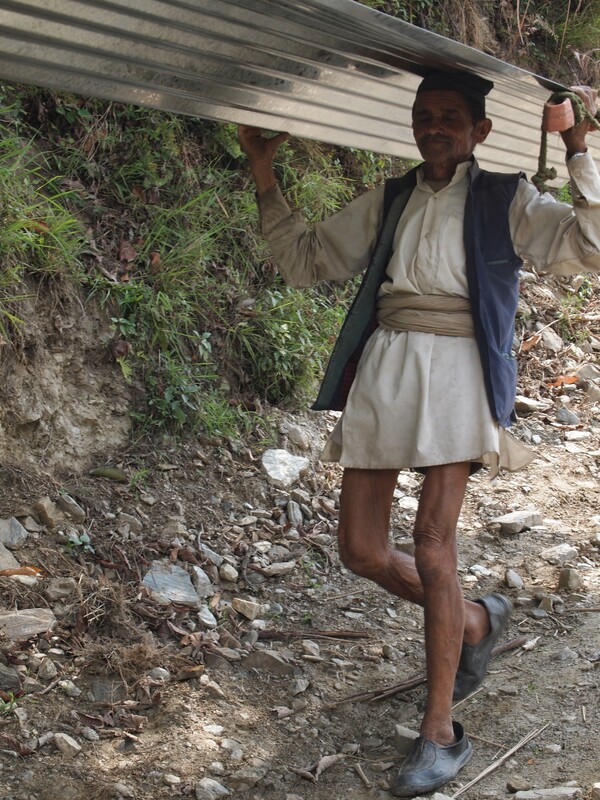 Supporting indigenous efforts in Nepal to serve the disabled and marginalized. 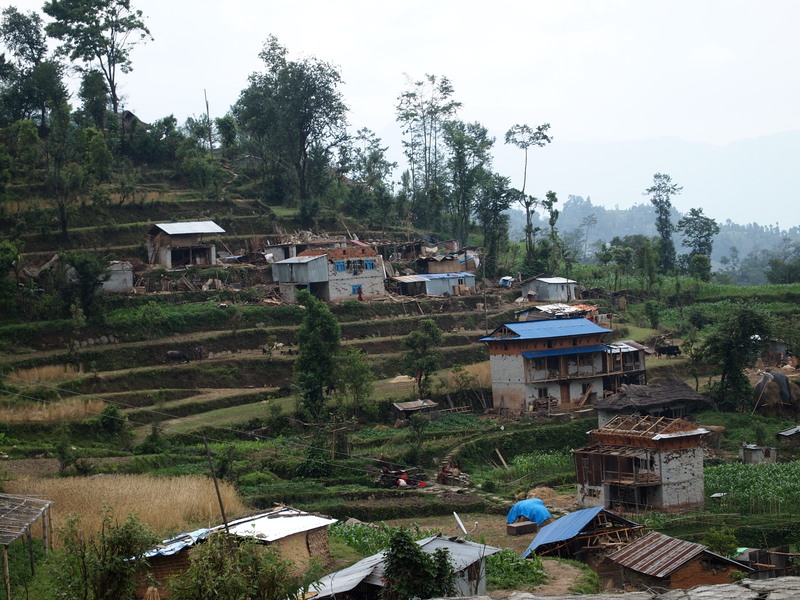 We just returned from our 3rd relief trip out side of Kathmandu. 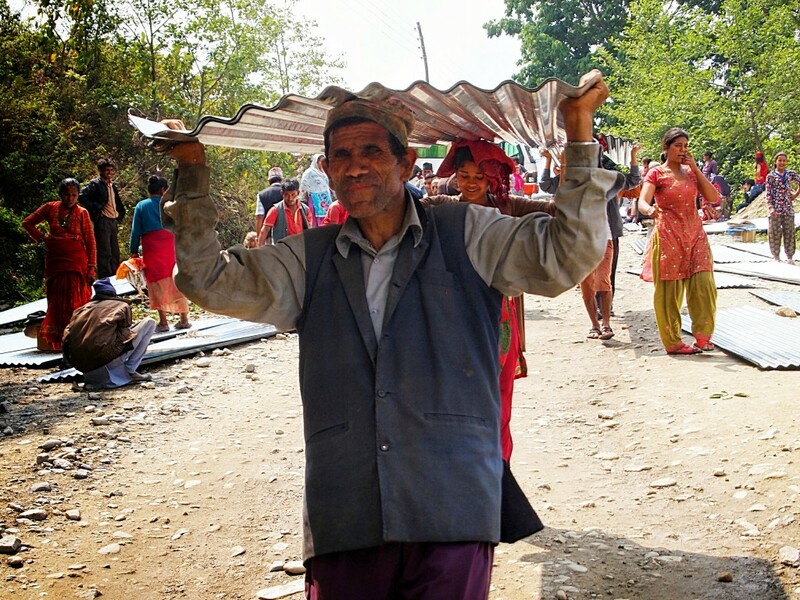 I have yet to post about a trip to Ghorka where our indigenous non-profit partnered with the Democratic Lawer’s Association in Nepal to bring food to 100 Dalit (also known as untouchables) families. 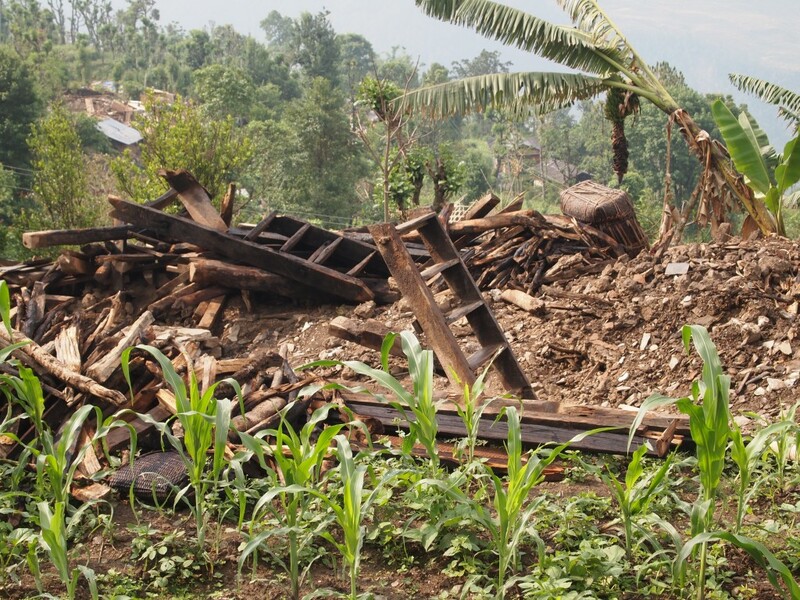 With an organization as small as ours, it can be really challenging to provide timely updates since we are spending the bulk of our time planning , coordinating, and distributing relief. So far, preparing and coordination is definitely the most time-consuming and frustrating part of the process. On our last trip, we ran into many roadblocks including government red tape, relief material procurement, communication issues, and funding. 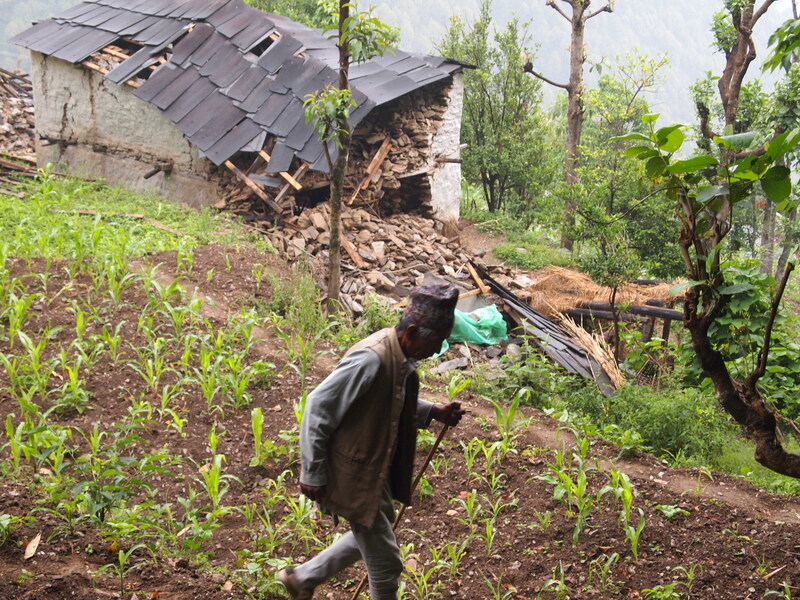 Shortly after the second earthquake, we heard that a village of 227 families in the heart of the epicenter desperately needed help. After an initial conversation about their needs, we committed to provide for them. 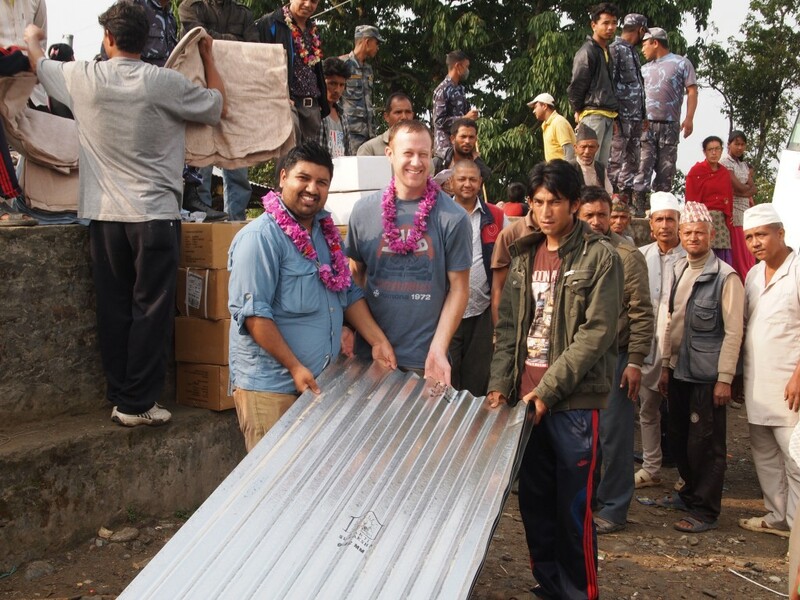 The message was loud and clear… “We need corrugated metal to build temporary shelter!” This is where our indigenous NGO (non-government organization) has a big advantage over the many International NGOs (INGO) here in Nepal. We have connections to trusted people all over the country who can provide us with timely, valuable information about needs. On the other hand, the many INGOs here resort to one of two options: 1. make an educated guess at what the needs are and how much relief materials to bring or 2. take a time and money-consuming assessment trip to the area (which also builds false hopes if after the assessment the INGO determines to focus efforts elsewhere). On the other hand, funding and access to resources is where we are at a big disadvantage to the multitude of INGOs here. 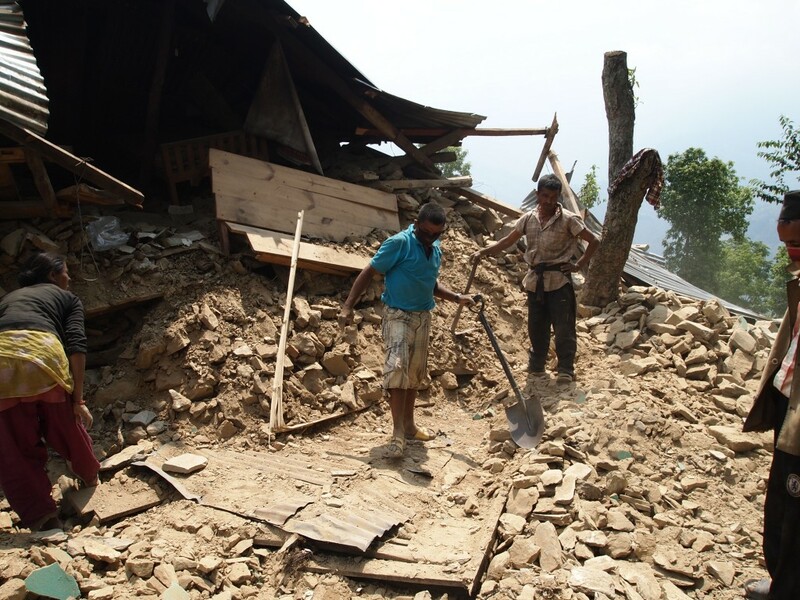 We spent several days trying to get our hand on the appropriate materials to bring. 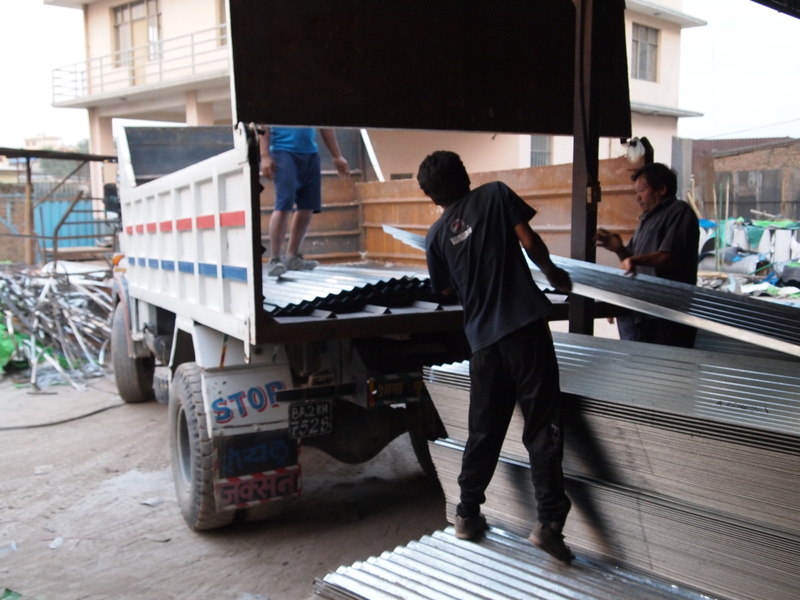 Corrugated metal is not cheap and is in high demand. Each time we thought we had procured some, we were soon told that the government had seized it or that the price had gone up because now only a higher grade of metal was available. We also had trouble finding transportation because so many of the massive trucks needed to transport this load were already being used by INGOs (not to mention the larger helicopters like the US Military V22 Ospreys which some of the large INGOs have used). 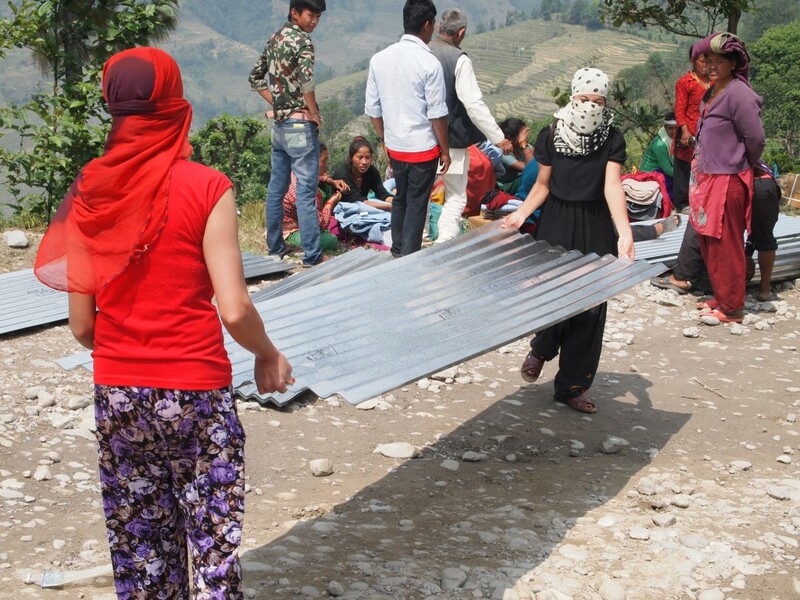 After 5 days of work, we got our hand on 227 bundles (72 linear feet) of .42 inch corrugated metal, 227 cooking kits (dishes, cups, pots, pans, and utensils), and 454 blankets. In lieu of the already booked semi-trucks, we found a large dump truck and a big bus to load all of our materials into. 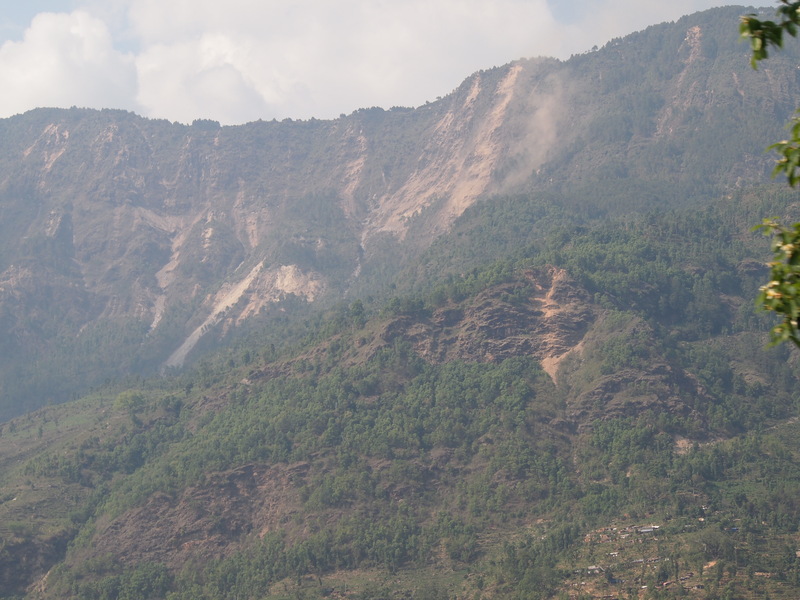 As we drove into the heart of the epicenter, we were awestruck at the extent of the damage. 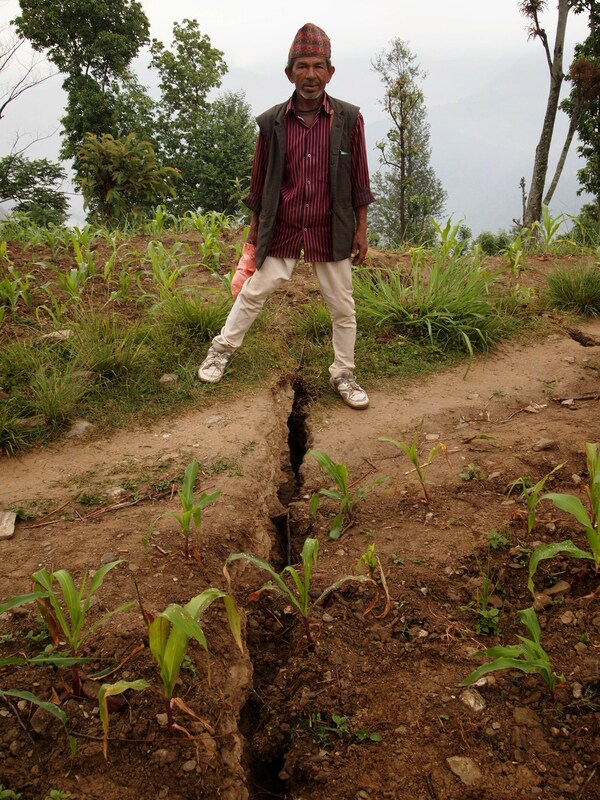 We saw first hand the damage that the villagers had been describing as if “an atomic bomb was dropped on top of us”. 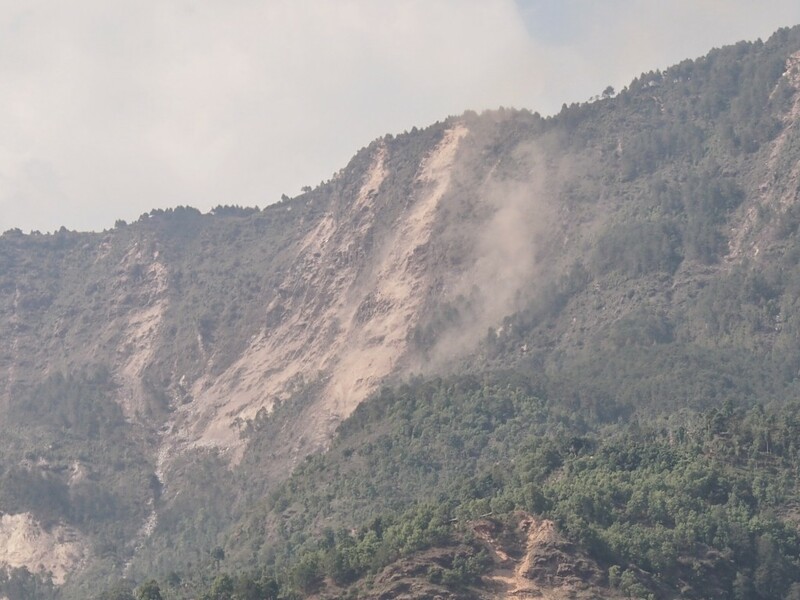 We also saw the debris from many landslides that had been mostly cleared from the roads as well as many active landslides on the high mountains surrounding us. 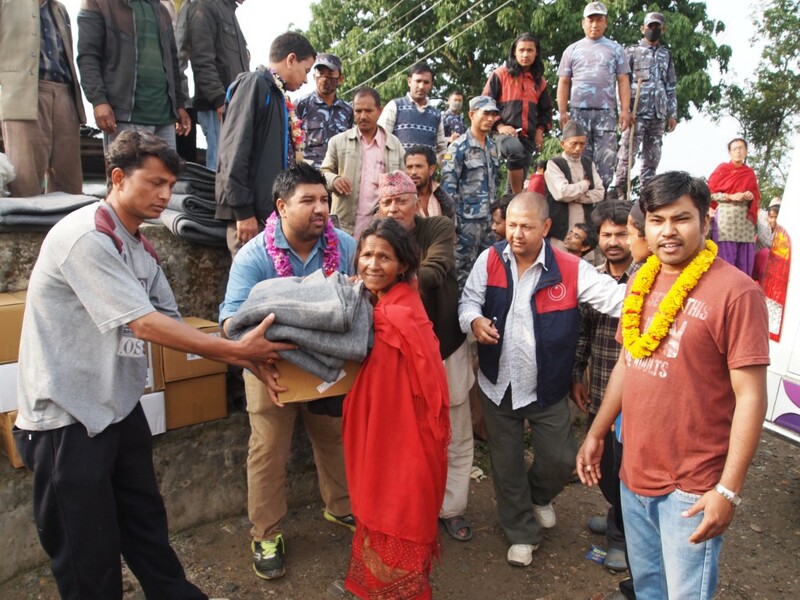 We arrived in the village to a large welcoming party who were anxiously awaiting the relief materials. 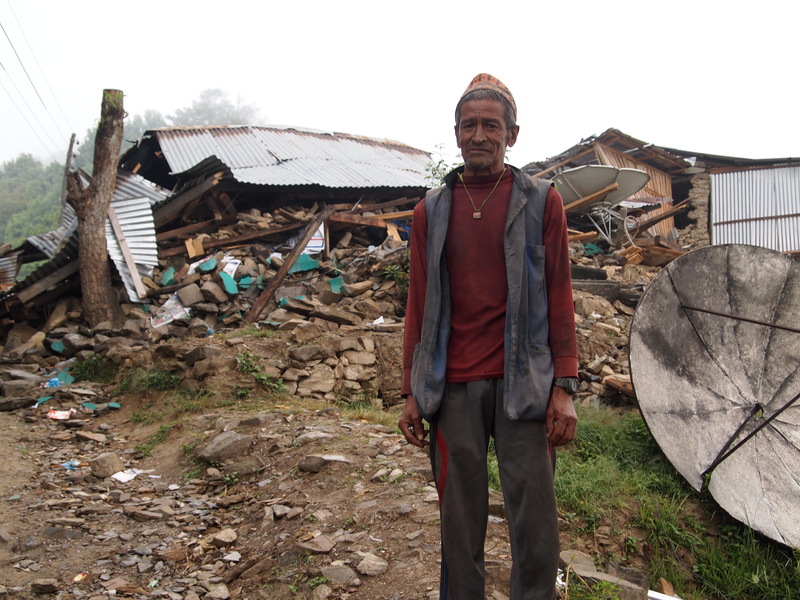 Over the next two days, I heard story after story of destruction, death, fear, and pain. But I also heard and saw first hand resiliency, grit, generosity, love, hope and even glimpses of joy. 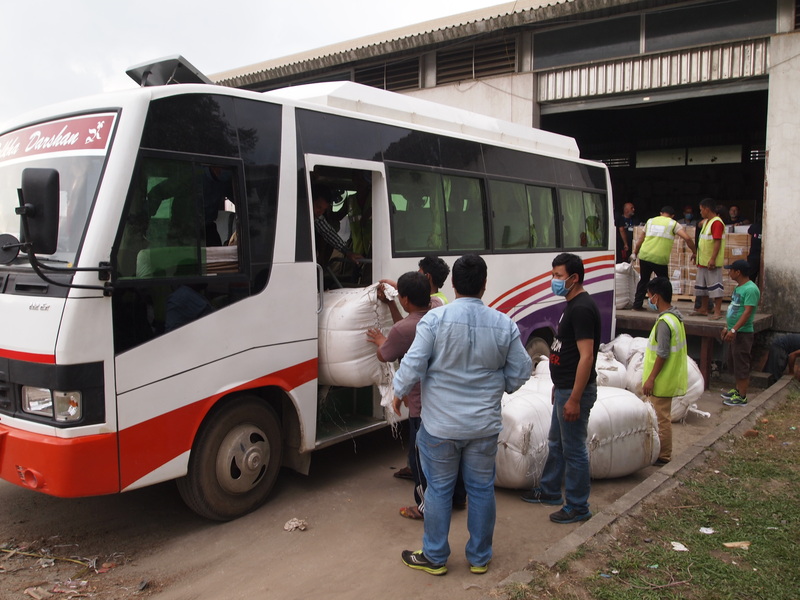 Thank you to everyone who made this relief distribution possible! If you are compelled to support further intermediate relief and long-term restoration projects, please consider doing so through an indigenous, non-profit who is listening and responding to the needs of their own people. You can do this by clicking here.